The profession of Real Estate is like no other. Now that we have our first Real Estate mogul coming in as president, like him or not, it gives me a special sense of pride; as perhaps it did with lots of African American folks felt when Barack Obama was elected. As a white person, the first thing I wanted to do was go out and congratulate the first black person I could find, on the sense of pride they must have felt as an American ethnicity as a whole. I was glad for them. But politics aside, this article is about real estate, and now, myself, getting my own “real estate guy” in the White House, I also feel a special sense of pride in my profession. So with that out of the way, I wanted to highlight some of what I believe are major points that make the profession of “Real Estate” so special and unique. A Listing or Sales Agent is a real estate professional who essentially sells homes. They may not work with some or any buyers, although many do, but their primary skill set is in finding and working with homeowners to sell their house (or any other real estate). This is where I started out and quickly found that it was a good fit for my style. There are some real estate agents such as Buddy Blake out of Wilmington that have people on their team that handle the buyers and other which handle the sellers. This is somewhat unusual, but does exist. This is the flip-side to the Listing Agent, whereby the Buyer’s Agent works more so with Buyers than Sellers. Buyer’s Agents’ find success from many different venues, but essentially no matter where the buyer comes from, the buyer’s agent has to show homes, help the buyer find the right home for sale, write offers, insure financing goes through, and the buyer gets the “home of their dreams”. Nothing is worse than having your buyer lose their dream home at the negotiating table. So as Buyer’s Agents go (not in all cases, but many for sure) personality makes a big difference in how successful you can become. If you’re one of those people who lights up a room when you walk in, or if your charisma is through the roof and everyone wants to be your friend, you should drop everything you’re doing now and jump into real estate because that’s a highly successful personality type. Sort of like a little mini superstar. And while many real estate agents do work with both buyers and sellers, some stick to primarily one side or the other. Depending on the personality type, most new agents find themselves settling initially somewhere on this Buyer’s Agent – Seller’s Agent spectrum. But when markets change, or during competitive times, the truly successful Real Estate Agent may have to change his or her game entirely depending on the cards they get dealt by changing laws, the economy, the lending market, or a wide range of other economic factors. So what are some other ways to make money in real estate? While not entirely different from a regular Buyer’s or Seller’s Agent, a Discount Broker, for differing reasons, operates on a lower income basis than what local competitors may demand. Some Discount Brokers cut corners to save money, others do not. It just depends on the business model, so you should ask the right questions any time you consider hiring a discount broker. Are you giving anything up? Are you compromising service for price in any way? You might be surprised to learn that some people are simply willing to do the same high-quality, full-service job, just for a little less money. Frequently discount brokers work from a home office, and they are independent, so they don’t pay for a big name real estate franchise or thousands of dollars a month in general business overhead like most traditional real estate brokers and franchises do. This makes it easier for a good Discount Broker to save money and pass some of those savings back to you, as the customer. It can often be a win/win. They’re not giving up 10-50 percent of their paycheck to the company they work for, so even by cutting their commission in half, they may still be putting the same amount of money in their pocket as the full price broker. Keep in mind, sales commission checks can be quite large, and if you produce regular business, you can also earn frequent and regular “big paydays”. But though it may seems surprising, there are plenty of people out there who are perfectly fine with being financially successful at a slightly lower level than other rich people, so they’ll do the same job, but just for less money than “big box” real estate brokerages. This is one of my favorites, because so much other business can come from a good Property Management base. Basically, a Property Manager is a person, usually a Real Estate Broker, who manages the home as a rental property on behalf of the owner. They find the tenant, collect the rent, handle routine repairs, provide monthly and yearly tax statements for their landlords, and essentially everything in between when it comes to keeping the home operating smoothly as a rental. Property Management used to be considered a “poor man’s job” but following The Great Recession, Property Management came into its own as a dominant player in the real estate arena. As some may recall, many real estate agents were among the first to lose their homes, their businesses, their incomes… and many of them became renters, managed by either an owner directly, or a professional property manager. During the prolonged recovery period that followed the Recession, many traditional real estate brokerages either started, or converted completely, to property management… just to keep the bills paid. Some made it, others didn’t. Some fell flat and others thrived, but regardless, the opportunity was there. Done wisely, Property Management can be a great job for the right person. This is a lesser known and uncommon area of practice for a real estate agent, but if you have law experience, or your practice becomes successful enough to afford a little education and access to legal counsel, working as a Court Receiver is a fantastic way to make money in Real Estate. To describe the job as simply as possible, a Court Receiver is usually a real estate broker who is appointed by a court to act like a Trustee, but for the purpose of either managing real property or liquidating it to settle a court dispute, judgment, or as an alternative to bankruptcy. Court Receivers are Officers of the Court, work as an extension of the Court, have enormous protections under the law, and can basically step into the position of “owner” of whatever company, business, or portfolio of real estate holdings you become appointed to handle. Court Receivers frequently find themselves selling high dollar properties and assets, and are free to charge the estate a fair market commission. To do this, Receivers don’t need much more than the Judge’s approval, and in a court receivership appointment the Judge looks to the Receiver for advice, not necessarily the other way around. So it can also be a great way to build income and work “outside the box”. 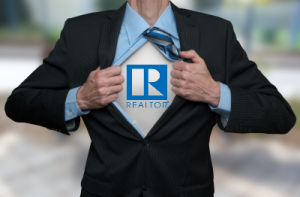 There are many ways to find success in the Real Estate Profession. It can be challenging and rewarding. It can also be difficult and punishing, but we try to avoid that side. If you’re smart and willing to take on any challenge, real estate can make money for you in any market, whether it be up, down, sideways, backwards, or anywhere in between. Not everyone is cut out for it. It can be hard, and often trying. Some find success only for a short time while others make it their life’s work. But one thing’s for sure, no matter which way the market goes, there’s always a way to make money in Real Estate.